For nearly all of my professional life, I have been advocating for the Arizona Multihousing Association. It’s been nearly 20 years and you could say that the AMA is in my blood. Many members may even remember that my mother, Suzanne, worked with the AMA starting in 1988. This summer, I’m taking on the challenge of leading the AMA as the interime President and CEO. I’m proud to take the reins from my friend Tom Simplot, as he pursues an important opportunity in Washington, D.C. Under his leadership, our association has become one of the largest and most influential advocacy groups in the state, and our members stay more connected than ever through our networking and education opportunities. Tome expressed sincere thanks and appreciation for our professional staff at the AMA and I echo his sentiment. I’m grateful for this opportunity to continue to work alongside committed leaders and I’m looking forward to building on Tom’s legacy. In this issue, we are sharing some of the important research conducted by the NAA about the demand for rental housing for the next 15 years. The numbers are impressive and I see this as an opportunity for the AMA to continue to educate both legislators and residents about the benefits of our industry. 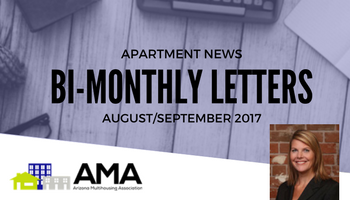 This article was originally published in the August/September 2017 issue of Apartment News, the official print publication of the Arizona Multihousing Association. To order copies of this magazine, contact the AMA. 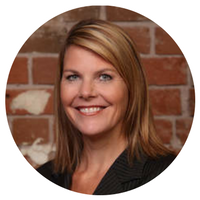 Courtney is president and CEO of the Arizona Multihousing Association.